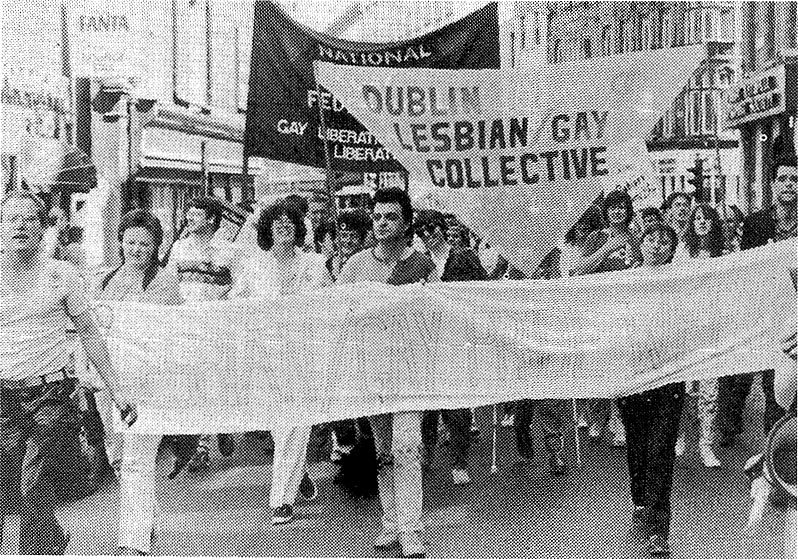 Out for Ourselves was a 224 page paperback book published in 1986 by a sub-group of people from the Dublin Lesbian and Gay Men’s Collective, ISBN NO is 0 947802 35 5. We’ve scanned about 80% of the photos from the book. Photos by Clodagh Boyd except for the first b&w photo above credited to Derek Spiers. See the names of the editors and compilers in the scan below. 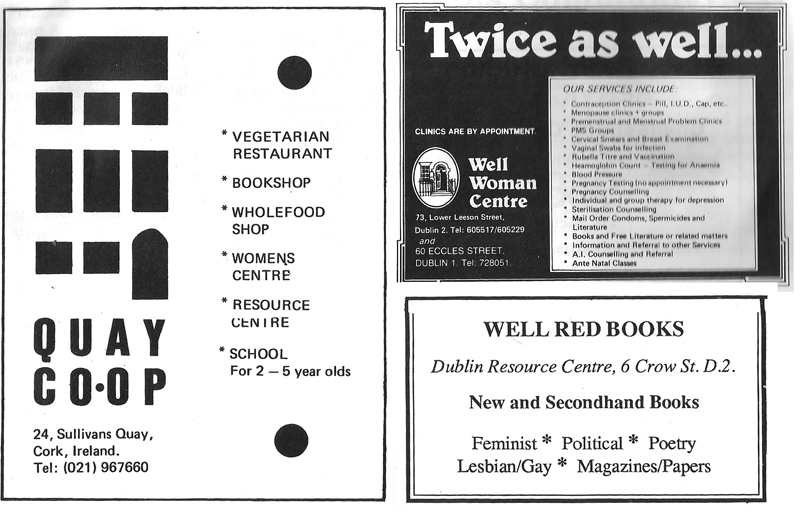 There were just 6 adverts placed at the end of the book.